Notes: The line from Bradford to Thornton via Queensbury was opened as a joint venture between the Lancashire & Yorkshire Railway and the Great Northern Railway between 1876 and 1878. 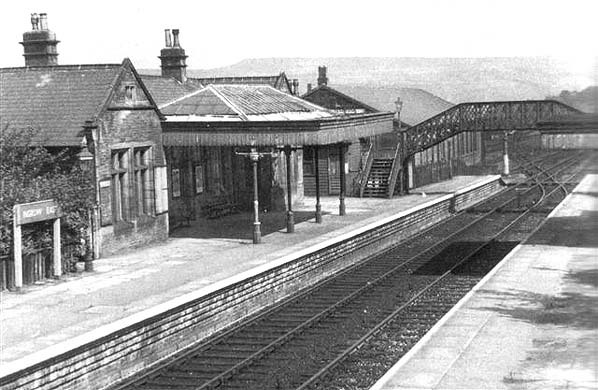 The line was extended to Keighley in 1884. Once out of Bradford, the line was mostly rural and necessitated the construction of many earthworks, viaducts and tunnels. Its hilly nature earned it the nicknames of 'the Alpine route' or 'the switchback' from its loyal drivers. 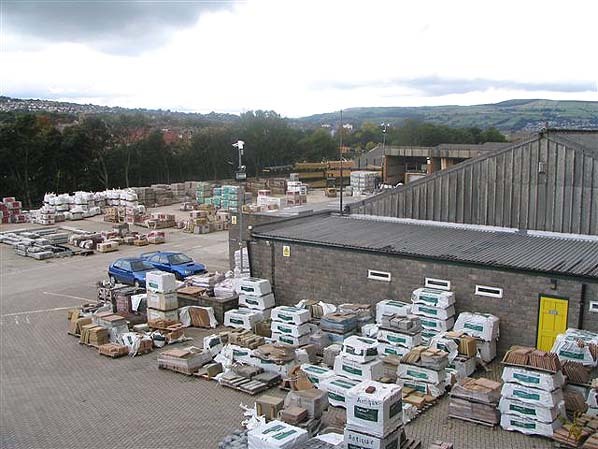 Ingrow was, and is a busy suburb of Keighley, and was served by two unconnected stations literally yards from each other. Ingrow West served the Midland Railway's line to Oxenhope, which is now preserved on the Keighley & Worth Valley Railway. 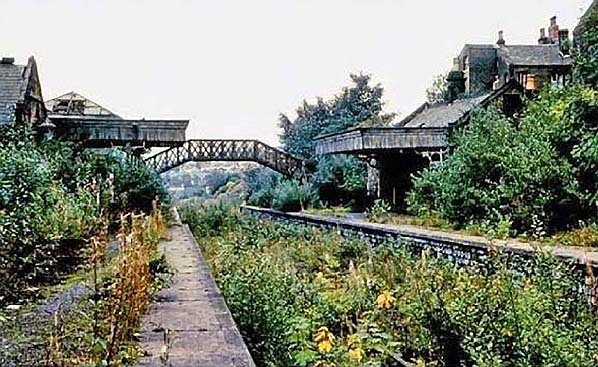 The lesser known Ingrow East Station was on an embankment about 40 ft higher up and served the line from Keighley to Queensbury. Shortly after Ingrow East, the line joined the Worth Valley tracks for the last mile into Keighley station. Ingrow East to Cullingworth closed to goods on 28 May 1956 allowing the lengthy Lees Moor Tunnel to close along with Holmfield to Queensbury (West) - allowing Queensbury Tunnel to close and Queensbury (South) to Queensbury (East). Ingrow East remained open for goods traffic at this time. 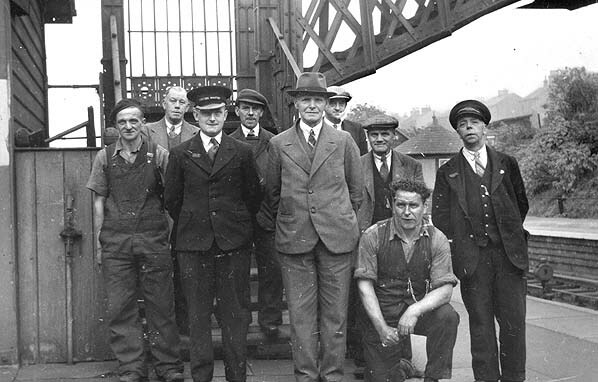 When goods services ceased in June 1965, this made the task of reopening the preserved Worth Valley line that much easier as British Railways would no longer need part of the route for goods access to the Queensbury line. 1919 1:2,500 OS map shows the layout if Ingrow (later East) station with a goods yard on the west side of the line comprising a substantial goods shed, cattle dock and a 5-ton capacity crane. The Midland station is seen to the west. 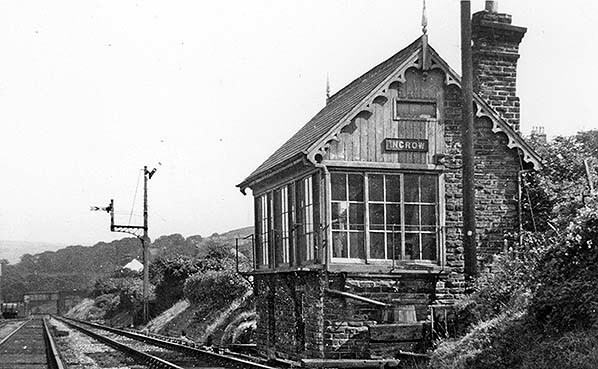 Ingrow East station circa early 1950s. 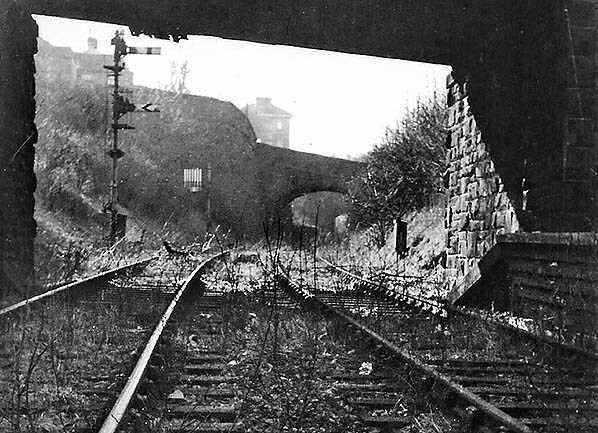 Ingrow East station looking north in 1961, six years after the station closed to passenger traffic. The goods yard is still open at this time and the large goods shed is seen beyond the bridge. 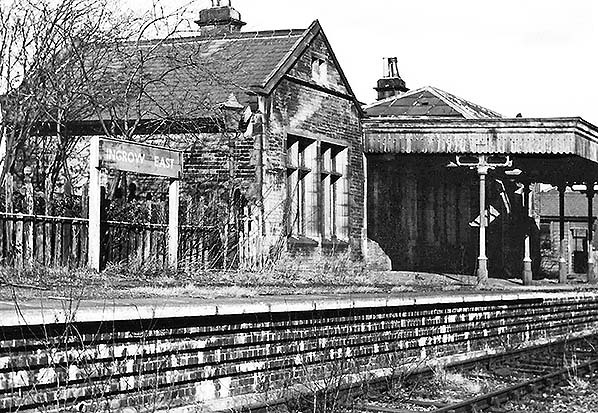 The main station building at Ingrow East in February 1962. Although Ingrow East was still open to goods traffic at this time the line thorough the station to Cullingworth closed to all traffic on 28 May 1956; allowing the lengthy Lees Moor Tunnel to close. 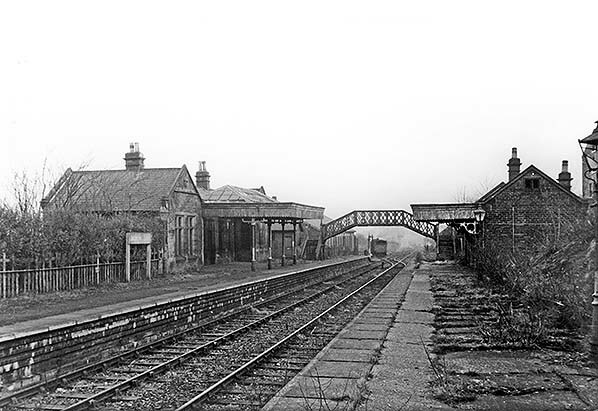 Ingrow East station looking north in February 1962. Looking south from Ingrow East station in February 1962. 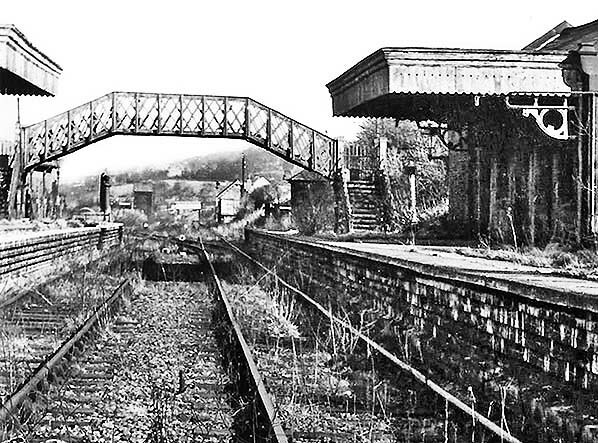 Ingrow East station looking north in 1965. Once the track had been lifted nature quickly took over. 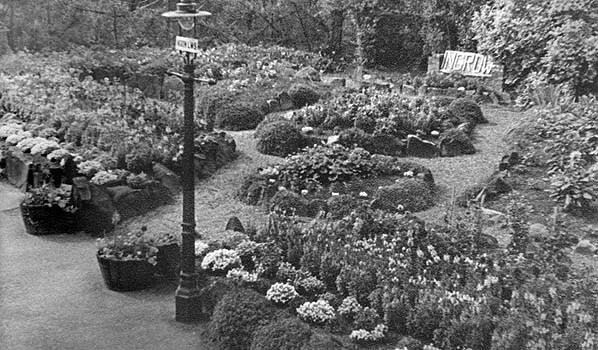 Within five years the site would be cleared. The site of Ingrow East station in October 2005.